Like poets, children love the sound of words. They also love the sounds of living. Walking through grass: Swishy swashy. Walking in mud: squelch squerch. Over the wooden bridge: trip trap trip trap. Dancing: swisha-swisha clap! clap! jump, jump, jump! Such verbal sound effects can be found in all kinds of picture books. In Janet Wong’s BUZZ, the sound buzz in all its variations is the central thread of the text. 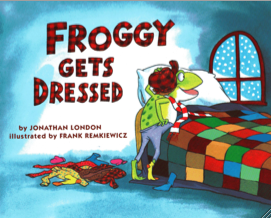 The repetitive sound effects in Jonathan London’s FROGGY GETS DRESSED are a large part of the humor, and provide a cumulative element that let’s children join in the fun. So Froggy put on his socks—zoop! And flopped outside into the snow—flop, flop, flop. Karma Wilson uses a blend of sounds and verbs to evoke the ponderous dance moves of her hippo in HILDA MUST BE DANCING. Wilson’s text evokes instead of merely telling. And, once again, the audience becomes more involved. Though the use of onomatopoeia is most frequently found in poetry and story, it can play an equally valuable role in nonfiction picture books. The forthcoming PLANTING THE WILD GARDEN by Kathryn O. Galbraith celebrates the many ways seeds are transferred and planted in the wild. Her use of sound effects acts much like a visual close-up on the subtle action. “Under the afternoon sun, the pods of the scotch broom grow hot and dry. Snap! Snap! Out pop their seeds, like popcorn from a pan. 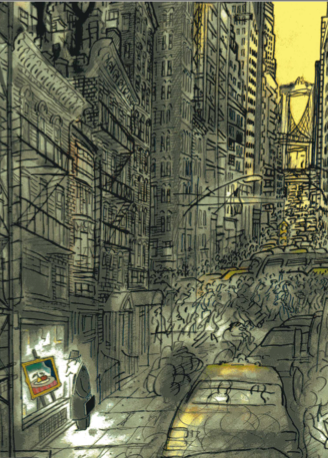 The primary considerations regarding sound effects are #1 Why are they being used? and #2 Do they contribute to the text or detract? In other words, do these sounds flow with the text or do they cause the audience to stumble. Are onomatopoetic words used throughout as style and voice, or only dropped in from time to distracting time. Rabbit went off laughing softly to herself, huh, huh, huh. She ate it herself, as fast as she could, yatua, yatua, yatua. Huh huh huh is similar enough to ha ha ha or hee hee hee to make sense to the young North American audience. But what is yatua, yatua, yatua? Onomatopoetic phrases deserve to be translated just like the rest of the text. 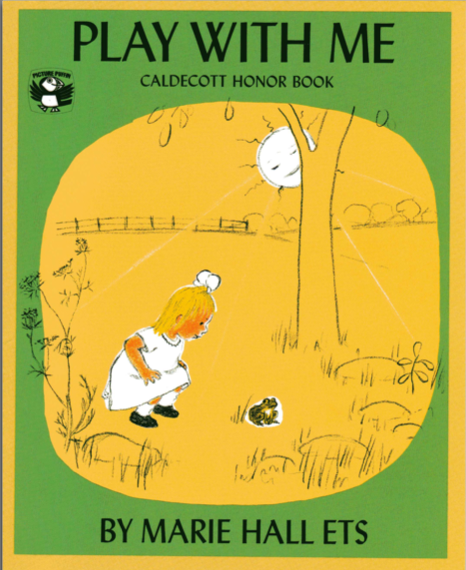 In English DUCK says, “Quack, quack.” In Spanish DUCK is known as PATO and says, “Coo-ah Coo-ah!” In French DUCK is LE CANARD and says, “Kwang kwang!” An English language picture book having Duck say “Kwang kwang” would pull the audience out of the story as it struggles to figure out what is happening. 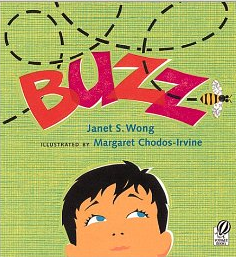 BUZZ by Janet Wong. Illus. by Margaret Chodos-Irvine. Harcourt, 2000. FROGGY GETS DRESSED by Jonathan London. Illus. by Frank Remkiewicz. Viking, 1992. HILDA MUST BE DANCING by Karma Wilson. Illus. by Suzanne Watts. Simon & Schuster, 2004. 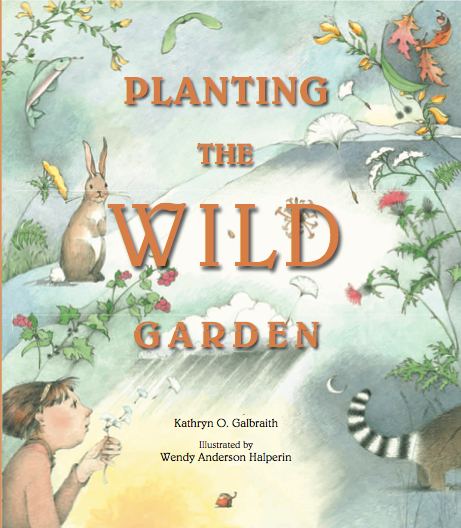 PLANTING THE WILD GARDEN by Kathryn O. Galbraith. Illus. by Wendy Anderson Halperin. Peachtree, 2011. THIS FOR THAT retold by Verna Aardema. Illus. Victoria Chess. Dial, 1997. WE’RE GOING ON A BEAR HUNT by Michael Rosen. Illus. Helen Oxenbury. Simon & Schuster, 1989.